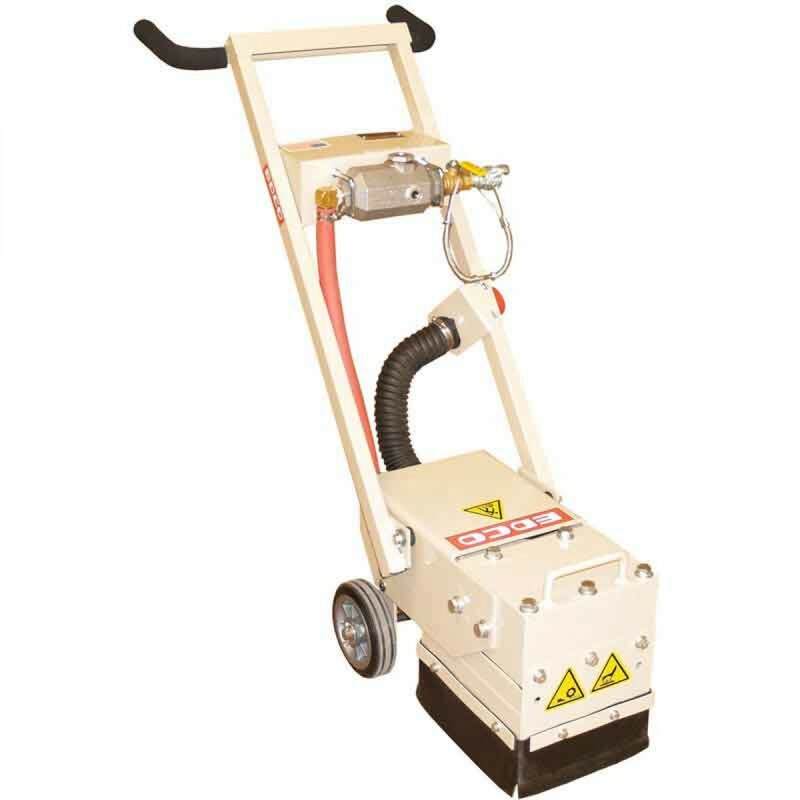 A 3 headed air powered chip deck scabbler excellent for resurfacing or removing dilapidated concrete and asphalt. Great for building wheelchair access ramps. The EDCO CD-3 3 Head Air Powered Chip Deck Scabbler 63200 include a 2" diameter vacuum port for dust free operation. Great for building wheelchair access ramps, removing epoxy, reducing high spots and texturing parking garage ramps. Equipped with a WHIPCHEK cable for safe air hose hookup and removal. Engine is equipped with an automatic in line oiling system. 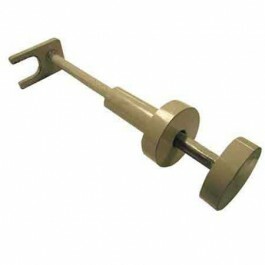 Heavy duty 1/4" steel frame for durability and strength. T-Grip handle and 8" wheels for improved balance.